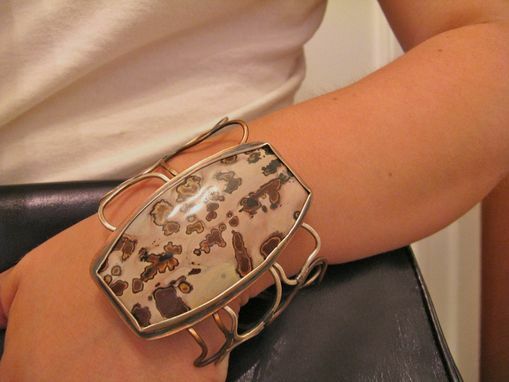 You can't beat a giant cuff. And this one is a work of art. I saw this beautiful magnesite stone and knew I HAD to have it! 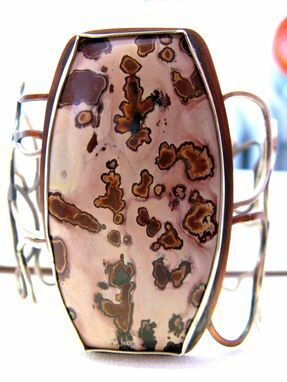 I let the organic formation of the stone inform the cuff. 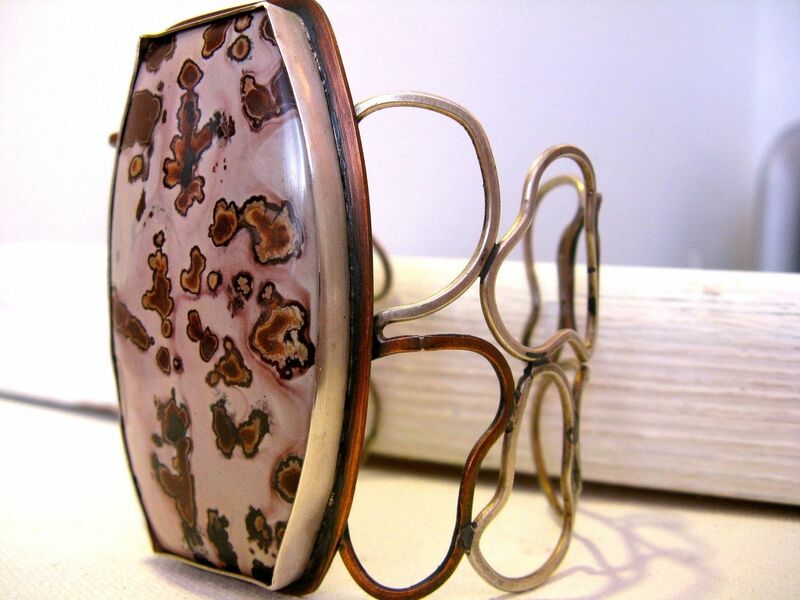 The stone is set on beautiful oxidized copper with a fine silver bezel. I then mimicked the spots in the stone in the sterling and copper band. And a little secret - the back has a beautiful cut out based on the organic spots in the stone! 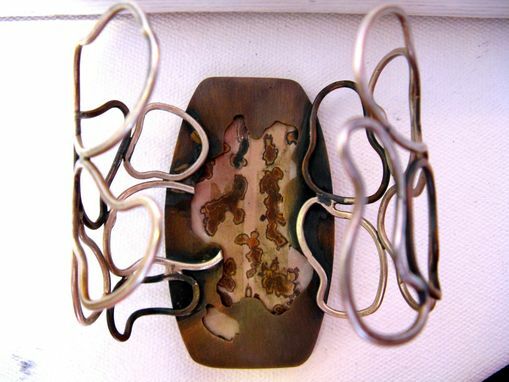 A wearable work of art! *Item may be returned for refund or exchange, minus cost of return shipping, within 7 days of receipt. 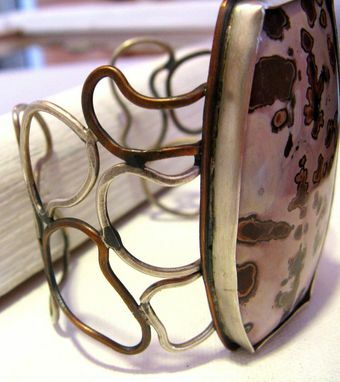 *Cuff will come beautifully packaged and ready to give as a gift...even if it's a gift for yourself!